After years of trying, I finally managed to grow Brussels sprouts. Not that they would have won any awards, mind you, but they were fun to watch grow. 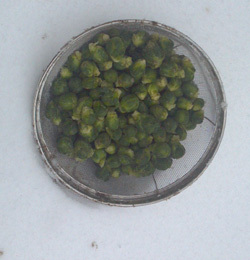 Check out my column this weekend on bangordailynews.com to read more about my longtime obsession with the sprouts.